Home / Lifestyle & Opinion / Where are the Rays fans? Where are the Rays fans? “Attendance was at it’s lowest in franchise history for the Yankees game on Tuesday night, at 10,619.” This statistic was posted in May of 2015, by Daniel Russell, of Draysbay.com. 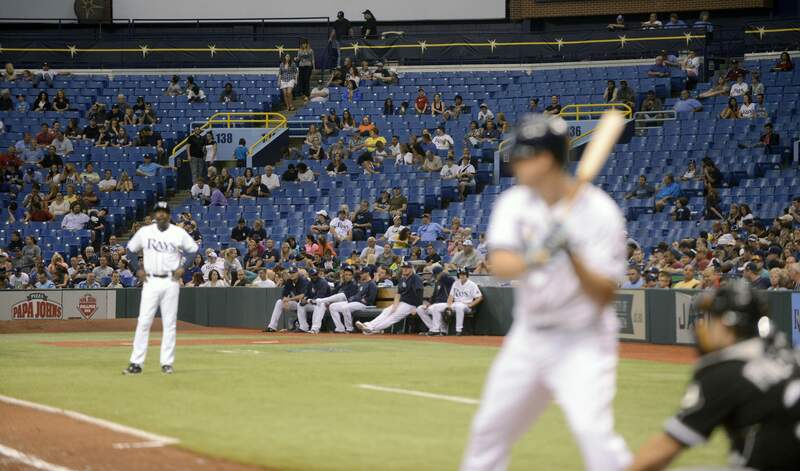 This is an alarming statistic concerning attendance that can hurt the entire Ray’s organization. Furthermore, can there be a resolution to the ongoing presence issue? Some say that the biggest problem contributing to low Rays attendance is the possibility of the team relocating to Tampa. “The longer the St. Petersburg City Council refuses to let the Tampa Bay Rays look for new stadium sites in Hillsborough and Pinellas counties, the more it costs the city. The lost economic impact for St. Petersburg approaches $500 million, and the lost property tax revenue from redevelopment of the Tropicana Field site if the Rays leave early is at least $54 million,” posted tampabay.com last year. In 2008 The Tampa Bay Rays won the ALDS, the American League Division Series. In 2009 they had the best season in franchise history. Since that time they have maintained a decent reputation, despite not appearing in the World Series. This ongoing struggle with the city of St. Petersburg has effected team attendance. Another contributing factor is that Pinellas County has an expanding tourism population, as well as new residents every year. It is safe to say that most of the Rays fan base consists of citizens from out of state. As summer approaches, many people leave to go back home. This leads to a fewer filled seats in the stands. Also, the team wasn’t franchised until 1998, which is not enough time to build a large fan base. “The only way they will get more people to fill the stands, is by giving 100 dollar bills,” commented 18 year St. Pete resident Ted Edwards. With the start of the new season, the opinion of the local population should be heard, and some resolution reached. For the team to be successful in Tampa, the jump must be made. The expenses may be high, but this has to be done to ensure a bigger franchise and to draw more fans. This would bring in more revenue in the long run and make the locals a lot happier. Photo is property of the Tampa Tribune.